Jerry Brown’s sky-high ratings in the new PPIC poll strongly suggest there is only one hope for Gandalf foes desperate to head off his second term: the insurgent Phil Trounstine for Governor campaign. There are fierce debates raging within the Trounstine camp about the best pathway for a long-shot victory – switching his party registration to “Whig,” joining forces with Dan Schnur on an independent drain-the-swamp ticket, building a powerful grassroots “duffer’s campaign” of?addicted golfers — according to sources close to our imagination, who say the potential candidate himself is preparing a major announcement during the upcoming betting sitesCalifornia Republican Party convention in March. Difi and the spies: While every news organization in the state wrote the same lede on the new survey – here, here and here, for starters – despite what shapes up as an extraordinarily dull governor’s race, less reported new PPIC data offers some intriguing fodder about how the big Snowden-National Security Agency flap may be playing in California. Just over a year after she was elected to a fourth term with two-thirds of the vote, Senator Dianne Feinstein has now tied her lowest approval level among self-identified likely voters in at least the last 15 years of PPIC polls. 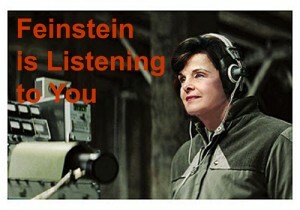 ?In more than 40 years in public life, Feinstein, 80, often has zigged as other Democrats zagged…But her crusade to preserve the National Security Agency’s massive tracking programs stands out. Rarely has a senator fought so hard for something that dismays so many of her erstwhile supporters. “I’ve seen some things I think you ought to know,” she added. But, of course, she didn’t share — the knowledge is classified. At a time when the?California Democratic Party has said the NSA is moving the country “towards a totalitarian state,” Sacramento lawmakers have called the agency’s spying “blanket, unreasonable and unconstitutional” and Silicon Valley companies are pushing for new limits on internet surveillance, Feinstein’s see-no-evil shilling for the intelligence establishment seems to be paying few dividends. Still no word from Homeland Security, the Air Force, the FAA, the NSA, the CIA, the FBI, or the San Francisco police or fire departments about the impact of the big crash and conflagration on national security, let alone the Richmond District. Not to mention Feinstein’s hometown paper, which perhaps might be thought to be interested in such a story, unless all its reporters are off in a seminar boning up on Reddit. A drone on patrol for U.S. Customs and Protection made an “emergency landing” in the ocean 20 miles southwest of San Diego after experiencing a mechanical problem, officials said Tuesday…The landing was controlled by the drone operators, the agency said. There were no injuries. The drone broke apart upon impact. To put it simply: Ka-Boom! 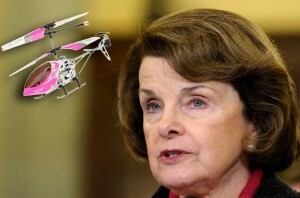 It remains unclear whether Difi startled the drone by yelling, “boo” from her Fortress of Solitude. 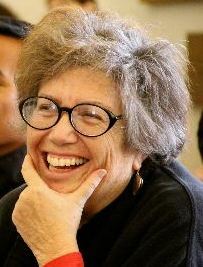 3-Dot Lounge: The UC Berkeley J-School has announced plans for a memorial service for the late Susan Rasky. Details here.…State Senator Mark DeSalunier sends a new press release every 12 seconds about another Democratic hack extolling his virtues to replace George Miller in the House, but our old friend Dan Borenstein did a nice takedown of the wannabe congressman as an “all about me” chirper who ain’t no George Miller…Kudos to Brian Leubitz over at Calitics for the smartest take on the drought we’ve read in recent days…If you haven’t yet read the Oxfam report documenting how the world’s 85 richest plutocrats have as much wealth as 50 percent of the people on the globe, you should…The cover art for “Planet Hillary,” the New York Times magazine situationer on Clinton’s nascent presidential campaign, got all the attention, but the actual words in Amy Chozick’s piece should have instead…Nice work by Tony Quinn offering a clear-eyed assessment of GOP wannabe Neel Kashkari’s hopeful but head-scratching bid for governor…Nice catch by Christopher Cadelago on Covered California hiring on a couple of six-figure consultants, including some guy making $411,000-a-year – $411,000!…We’re not sure what’s dumber – Florida Representative Trey Radel getting busted for buying coke from an undercover narc during his first year in Congress, or referring to his wife as “my rock,” during his resignation farewell tour. Great angst has broken out in the northern part of the state because, for the first time in decades, it appears that the top leadership positions in both houses of the Legislature are going to be filled by Southern Californians. Assemblywoman Tony Atkins of San Diego was just elected Assembly Speaker and State Sen. Kevin de Leon of Los Angeles is poised to become the next Senate President pro Tempore.? The truth is that it doesn’t matter. In San Francisco and northern environs,? Los Angeles is viewed as The Great Satan.? Well, here’s a little secret: San Diegans don’t think much of? LA either.? Like New York, Greater Los Angeles is a bigger-than-life megalopolis that triggers lots of negative feelings among its neighbors –? north and south.? Just as there is the famous Anywhere But California syndrome in Congress when it comes to divvying up the federal pie, there’s as much sentiment in the halls of the Capitol that Los Angeles shouldn’t be allowed to gobble up all of the goodies. Sure, there’s the water issue where the north-south divide matters. But there are many battle? fronts in the water wars: farmers versus conservationists,? urban versus rural,? 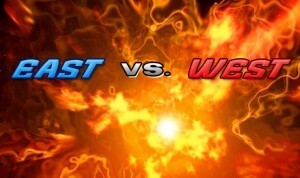 developers versus environmentalists,? residential? users versus industrial users.? The list goes on and on.? Water is one area where the leaders have to count votes, but they can’t control them. If there is a meaningful political divide in California where values and interests are most likely to collide, it’s Coastal California versus Inland California .? Assemblywoman Atkins’s district hugs the coast from Chula Vista up through Del Mar and is almost two-thirds white.? Sen. De Leon’s? district is in the San Gabriel Valley in the eastern, inland portion of L.A. County and has a majority Latino population.? Not surprisingly, both are safe Democratic seats. 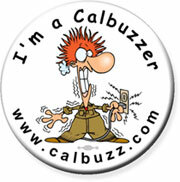 With Republican legislative numbers falling to near irrelevance,? it’s the mix of perspectives and constituencies in the Democratic caucuses that shape legislative maneuvering in Sacramento.? Aside from water, it’s hard to think about a major issue that is defined by north-south sentiment.?? Pension reform,? 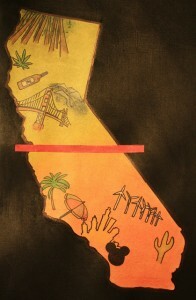 health care, prison overcrowding, taxes, CEQA and education are not longitudinal? issues.? Even the Bullet Train has its proponents and critics up and down the state. 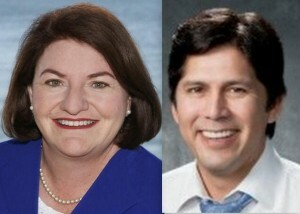 For those who worry about a Southern California lock on the leadership posts, it should be remembered that Sen. De Leon is termed out in 2018 and Assemblywoman Atkins can run for only one more two-year term.? In the meantime,? the folks up north should? take solace in the fact that six of the eight statewide constitutional offices are held by northerners. 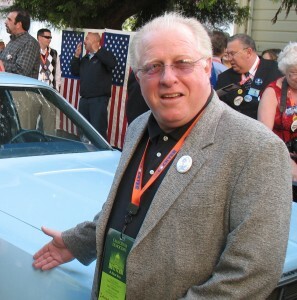 Douglas Jeffe is a Los Angeles based public affairs consultant.